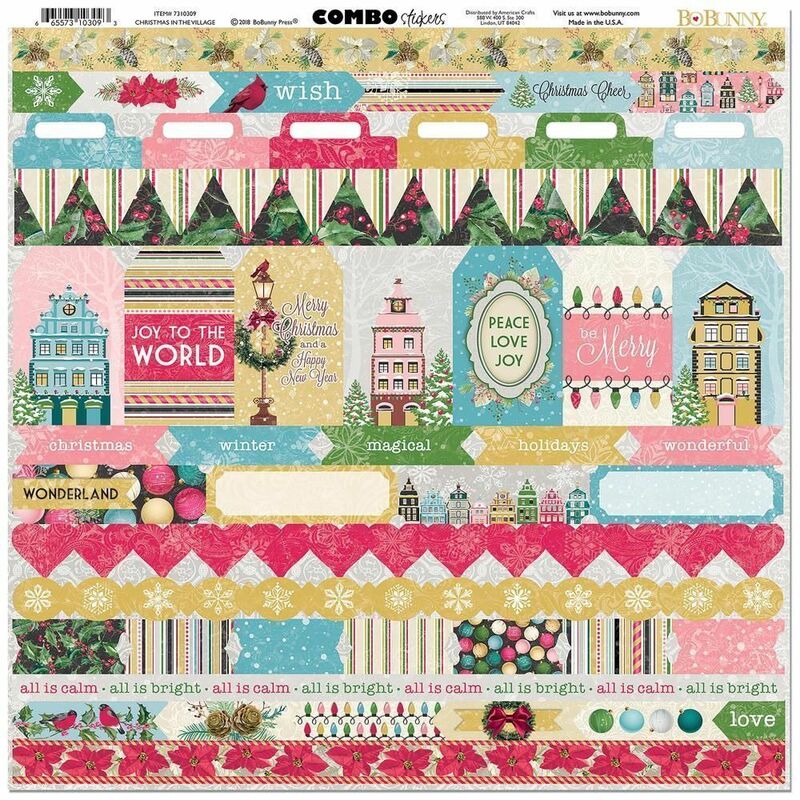 This 12x12 Sticker Sheet has an assortment of Tags, Borders, Labels & Tickets that are sure to embellish & accent your Projects. Part of the Christmas in the Village by BoBunny Press. Look for coordinating Designer Papers.